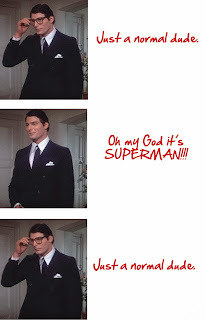 In writing my I Hate Superman post, I realised there's something I hate even more than heroes like Superman. The dumb heroine that was the old Lois Lane. (This does not include Man of Steel's Lois Lane). Lois Lane was suppose to be this smart, ambitious, go-getter reporter. The Daily Planet's star. So I find it a bit insulting and condescending that she was fooled by a pair of glasses. Seriously!! This woman worked closely with her reporting partner, shared space with him, covered ground breaking stories with him, and even interviewed him as Superman and yet she couldn't see what was right before her eyes. 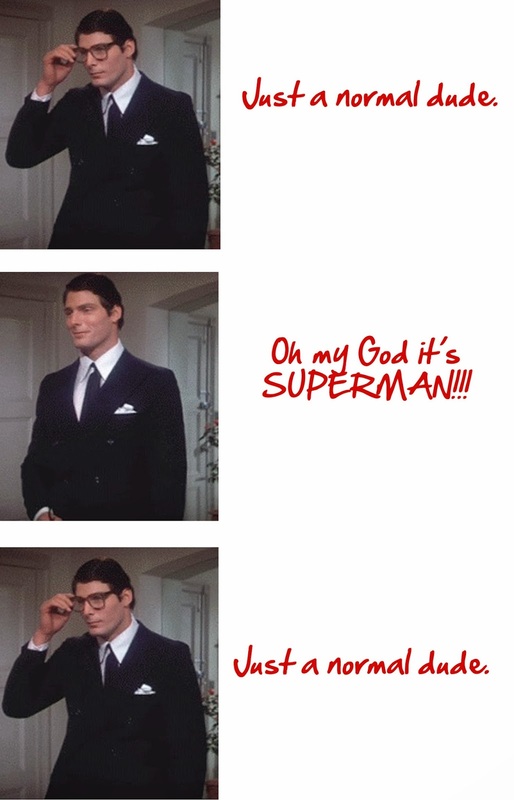 Two men with such a striking resemblance that even a blind man could see Clark Kent was Superman. Seriously!! Superman Returns (2006) made her appear even more incompetent as she didn't even recognise a man she had a kid with. Seriously!! I excluded Man of Steel's Lois Lane because this woman was true to who I thought the character always should have been. She track down this mysterious super powered saviour in a matter of days straight to his mother's door step and I thought, finally...a Lois Lane I can respect. Unlike the Lois Lane of old, Blake Lively's character Carol Ferris in Green Lantern earned my undying respected when she realised Green Lantern was her childhood friend within five seconds of standing two feet from him. She even called him out on him thinking that he could fool her with a mask. I hate when stories are written like the female leads has no senses. Sometimes I even find myself yelling at a movie or TV program or novel : "are you serious" , "how can you not see what's happening" , and my favourite "idiot...serves you right". (Thinking about that right now is making me laugh at how riled up I can get at a dumb heroine). And that's my naughty thoughts on dumb heroines.